The Culture mailing list is an eclectic gang of people discussing things related to Iain (M) Banks and his books. 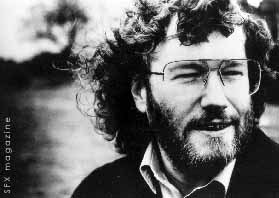 See Links below for more info on Iain (M) Banks. "This is a high-volume list, and there are usually several discussions going on at once. For the benefit those who don't want to read every message, it's a good idea to update your message's subject heading to reflect your post. So we don't get a gazillion messages all called 'onion skins'..."
FAQ explains how to subscribe/unsubscribe etc. The Wasp Factory has some stuff also, among them results from a vote on favourite Banks work.